Jerry Hoban as Ed Sullivan. It is with sadness that we report the death of Jerry Hoban. A lot of you may know Jerry as a comedic actor and Ed Sullivan impersonator who opened shows for the highly acclaimed Beatles tribute band The Fab Four. I had the honour of meeting Jerry when the Fab Four performed at Beatle Week in Liverpool in 2008. He was a funny and talented guy and watching him get into character as Ed Sullivan backstage at the Royal Court Theatre was a privilege. One story I remember from that week was when we were all in a restaurant next door to the Adelphi hotel, Jerry wanted some iced tea. As a British native, I knew that iced tea wasn't hugely popular in the UK like it is in the states and I told him that he probably wasn't going to get iced tea like he would back home but he stuck to his guns and ordered it anyway. They finally brought it out and it was a cup of hot, black English breakfast tea with a small bowl of ice cubes next to it. I shook my head and we all chuckled watching a frustrated Jerry take a spoonful of ice cubes and put them in the tea where they promptly melted! On stage, Jerry was fantastic, he was extremely funny and really made a great show even better through his introduction as Ed Sullivan. Jerry appeared as Ed Sullivan in the 1994 film 'Pulp Fiction' and also did other TV work as Ed but most will remember him for hosting the Fab Four's fantastic tribute shows. I am honoured to have met him and we at The Beatles Through The Years offer our sincere condolences to Jerry's wife and son and the Fab Four family. 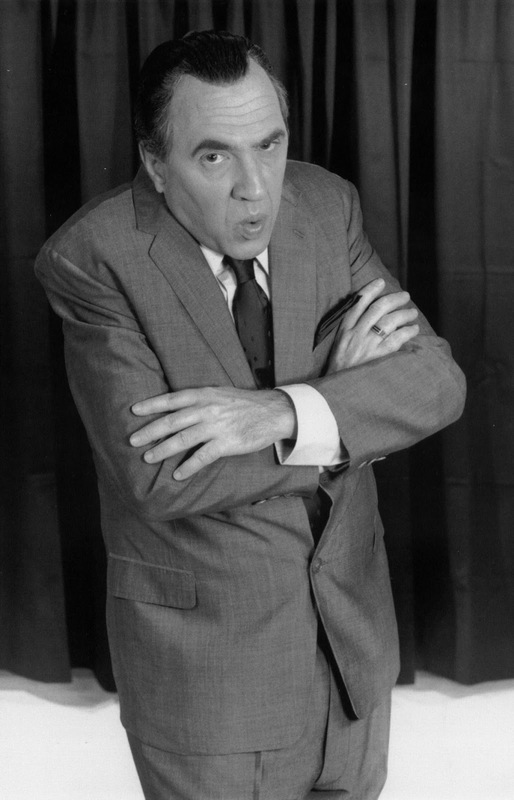 He was sooooo good as Ed Sullivan. Now he's hanging out with Ed and all the movie stars before him. So very sorry for the loss. Prayers for his family. Godspeed Sir! in the YOUTuBE video "The Fab Four - Beatles Tribute Full Concert" uploaded by Michael Woodall - the Fab Four dedicate a song to Jerry Hoban but 1 side question, why can't we get a DVD of the Fab Four?